Knowing that it’s tax season can make any freelancer or small business owner shudder. It’s the very thing many creatives and savvy business owners dread. But it doesn’t have to be so difficult, if you know what you’re doing. 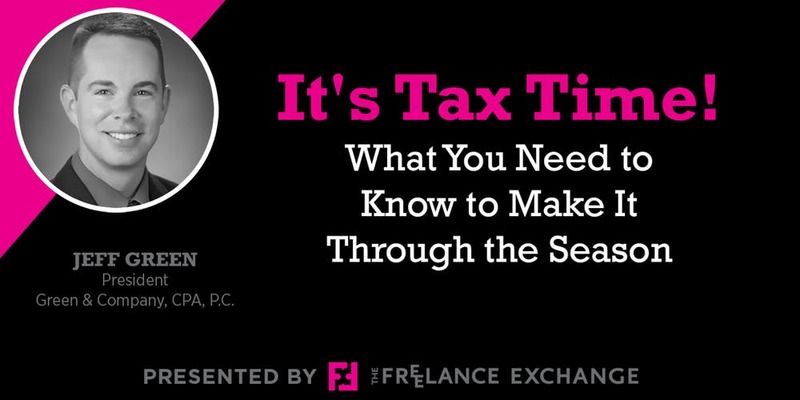 The Freelance Exchange is proud to invite our favorite accountant (and tax preparer for several Freelance Exchange members), Jeff Green of Green & Company, back for a lively and informative discussion on best practices for preparing your taxes. Green will also share what’s changed in the last year, and how the new tax law will impact small business owners. With more than 17 years of public accounting experience – including the last seven years committed to his own business – Jeff Green provides comprehensive accounting, audit, and tax services for businesses and individuals in the Kansas City metropolitan area. Jeff is a native of Memphis, Tennessee, has an MS in Taxation from the University of Memphis and a BS in Business Administration/Accounting from the University of Tennessee at Martin. He is a CPA, certified in Kansas and Missouri, and is a member of the American Institute of Certified Public Accountants and the Missouri Society of Certified Public Accountants. Cost includes presentation, meal, beverage, tax and tip. Anyone is welcome to attend at the appropriate rate. Non-members who register at the member rate will be asked to pay the remainder/difference upon arrival. Space is limited. To ensure your spot, RSVP NO LATER than the deadline. Due to venue requirements and advance ordering, we regret to inform you that cancellations made with less than 24 hours’ notice cannot be refunded. Come learn strategies that can help you grow for later what you’re working so hard for today. Join us for our monthly lunch and learn, when Certified Financial Planner® Brandy Branstetter will educate and empower us with tips for big-picture financial planning. As freelancers, the endless cycle of prospecting, producing and admin often leaves little time—and for some, even less interest—to plan for the years ahead. A freelancer of sorts herself, Brandy founded Fresh Financial Planning in 2015, and knows all too well the ups and downs of cyclical income, and how to manage personal and family finances. Why it’s important to start thinking about your future today. How to effectively save for short-term and long-term financial goals when living on a variable income. How to utilize asset allocation for the best outcome for your future. Know the difference between “tax-later, tax-now and tax-never again” savings vehicles. Practical and easy retirement plan solutions for self-employed individuals. About the speaker: Brandy Branstetter, CFP, founded Fresh Financial Planning following years of experience working for traditional wealth management firms. Seeking to create a more comprehensive and holistic relationship with her clients—and noticing a lack of engagement with female clients—she saw an opportunity to better serve them by striking out on her own. Though her clientele is mostly female, the guiding principles of her practice are universally applicable. A finance graduate of the University of Tulsa, Brandy in 2017 earned her Certified Financial Planning Certificate from Northwestern University. Check-in & networking begin at 11:30 a.m. Anyone is welcome to attend at the appropriate rate. Non-members who register at the member rate will be asked to pay the remainder/difference upon arrival. Space is limited. To ensure your spot, RSVP NO LATER than the deadline, November 28, 11 p.m. Due to venue requirements and advance ordering, we regret to inform you that cancellations made with less than 24 hours’ notice cannot be refunded. Join us for our next Happy Hour, Thursday, Nov. 15th from 5–7 p.m., at The Bar in Mission, KS. A time to relax and hang out while getting to know FX members and other creative minds. Come and go as you please. FX will provide light appetizers. Members and nonmembers are welcome to attend. We look forward to seeing you there! Freelancer. Contractor. Consultant. Whatever you call it, this is for you. 5 p.m. – 7 p.m. Global Entrepreneurship Week is an international celebration of the makers, innovators and job creators who launch startups and bring ideas to life. Founded by the Kauffman Foundation in 2008, it has since expanded to more than 160 countries. Here in KC, #GEWKC 2018 will be celebrated with more than 170 events and thousands of attendees. The Freelance Exchange is proud to support the entrepreneurial community by sharing our expertise at these free events in Plexpod Westport Commons in Kansas City. Brand expert, and FX President Cami Travis-Groves will share a handy checklist of everything your brand encompasses. She’ll also explain what on that list you, as a scrappy entrepreneur, can safely do yourself and what you really need to leave to the experts. Wednesday, November 14, 2–3:30 p.m. Need an extra hand or fresh perspective when it comes to your marketing efforts? Where can you find good freelancers? And what should you expect if you want to hire them? Should you use a contract? What about deposits? 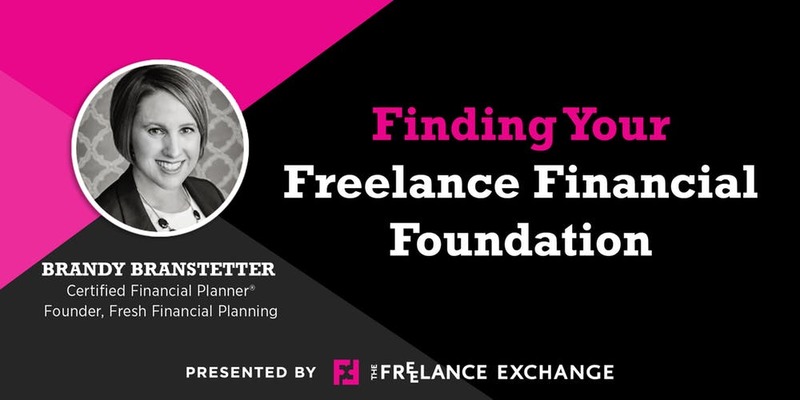 Hear from the professionals who lead The Freelance Exchange in this panel discussion about what you should expect when hiring professional freelance talent. In her 25+ years as a designer, one of the things freelance coach and FX President Cami Travis-Groves has excelled at is creating long-term, loyal clients. Join us to learn the three things clients hate, the three things they love, and her simple methods for making your clients fall in love with you. Wednesday, November 14, 10–11:30 a.m.
Join us as social media expert, and Freelance Exchange Social Media Director, Alexis Ceule shares her wealth of knowledge. Social media is changing weekly—if not daily—and Alexis’ experience as a community manager for clients near and far will help you get in-the-know. Her experience dates to 2008 and, in order to stay up to speed, she says, “There are a handful of blogs, YouTubers and podcasters I stalk daily. Social networks are changing in good ways now and only getting more interesting.” Working for brands including Big Slick, ReeceNichols and the Alzheimer’s Association has allowed Alexis to specialize in social media content, consulting, training and strategy. Tuesday, November 13, 12–1:30 p.m.
FX at GEW: What is UX, and Why Do I Need It? What is UX, and Why Do I Need It? Join user experience (UX) expert and fellow Freelance Exchange member Sally Holman-Hebert as she offers basics of what UX is, how to identify the bad as well as the good, and why it’s crucial to your digital products (think website) and your business’ success. 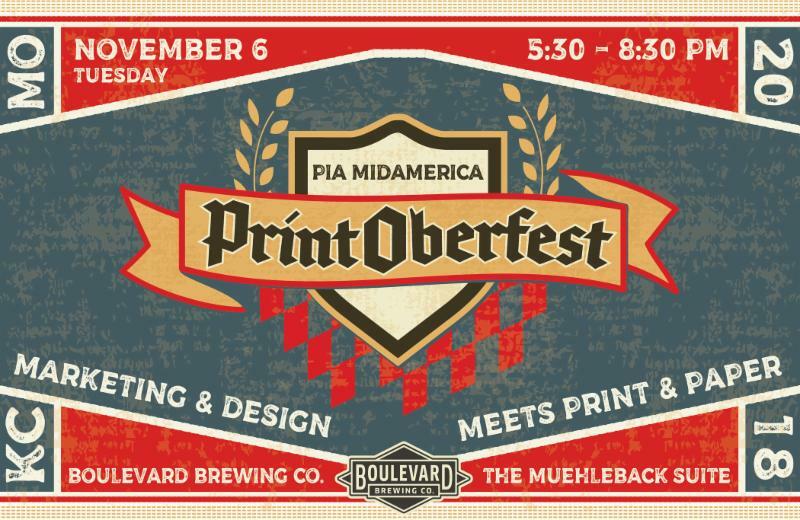 Monday, November 12, 2–3:30 p.m.
Join PIA MidAmerica’s 2018 PrintOberfest! Fun, networking, drinks & food, with a special appearance from Ron Burgundy (The Anchorman). Also: 2018 Graphic Excellence winners gallery, games & prizes and a chance to mingle with design & print industry peers. Tuesday, November 6th, 5:30 – 8:30 p.m. This event typically sells out fast, so register soon! As heads of businesses and heads of households, we can’t take care of either if we’re not taking care of ourselves first. Join us as we learn how to optimize self-care to fuel our work/life success. With nearly 40 exhibitors and 100+ attendees at our recent Portfolio Showcase event, and 16.5 million U.S. workers involved in solo or non-traditional work roles – according to a 2018 United States Department of Labor report – you’ll be in excellent company knowing that you are not alone in your pursuits. Dr. Damon Heybrock of Westwood-based Health Studio KC will address how to achieve a proper balance of mind, body and soul, and nutrition, exercise and rest as a business owner and operator. You’ll learn how to be more proactive, to manage external influences, and to avoid reactive health issues and their consequences. Dr. Heybrock is a Direct Primary Care provider, and has spent 10 years working in a unique corporate primary care clinic focused on promoting the doctor/patient relationship with longer appointment times and where patients have improved access to their physician. Register by 11 p.m., Wednesday, October 24, 2018. Space is limited. To ensure your spot, REGISTER NO LATER than the deadline. Due to venue requirements and advance ordering, we regret to inform you that cancellations made with less than 24 hours’ notice cannot be refunded.